«The sailing season is over…» Are you sure?! 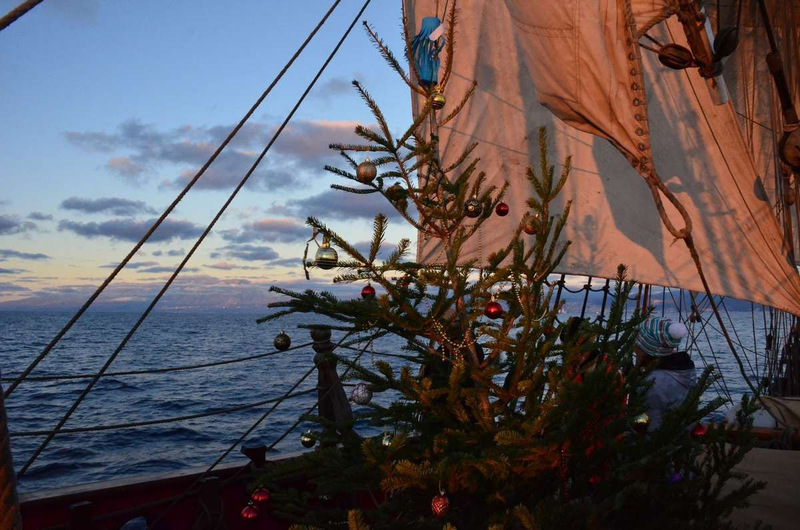 Shtandart continues its sailing season, now in the warm waters of the southern countries. November came. It's time to follow the birds and head south. New adventures and countries are waiting for us: Spain, Portugal, Gibraltar, the gentle and warm Mediterranean Sea, palms and newly opened bathing season. 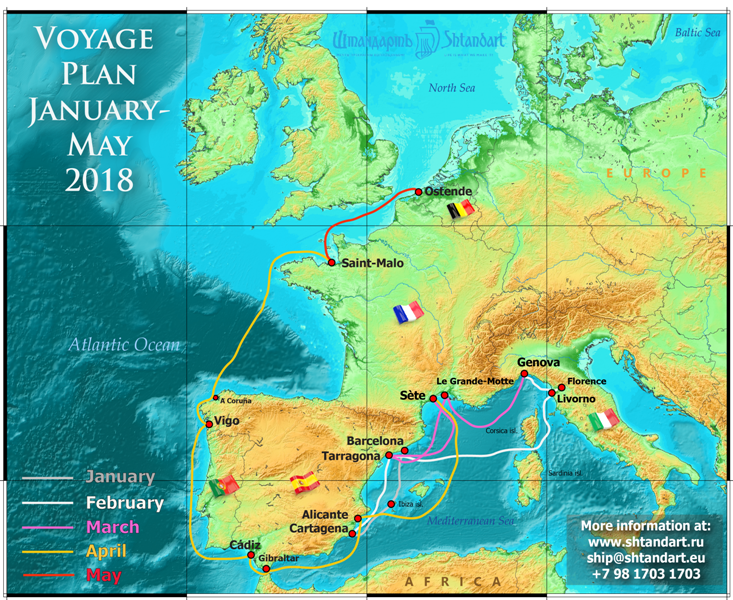 So, the WARM sailing plan for the period unil May 2018 is already on our website: come to Shtandart to enjoy the Southern sun! 1| For the most decisive: there are still vacancies for the voyages in the near future: we will travel in the Atlantic, along the Portuguese coast, we'll pass the symbolic straight of Gibraltar, after which we'll see Mediterranean water around the ship. 2| The main news related to the forthcoming events and celebrations: New Year Campaign: celebrate New Year 2018 on Shtandart. From Barcelona to the Balearic Islands, and back to Barcelona, to celebrate New Year in this amazingly beautiful city. This is something that happens only once a year: a Christmas tree on the deck, garlands on the guys, making wishes under the watch bell and the southern starry sky above your head. You've never celebrated New Year like that! 3| By February, we intend to visit our favorite Tyrrhenian and Ligurian seas. 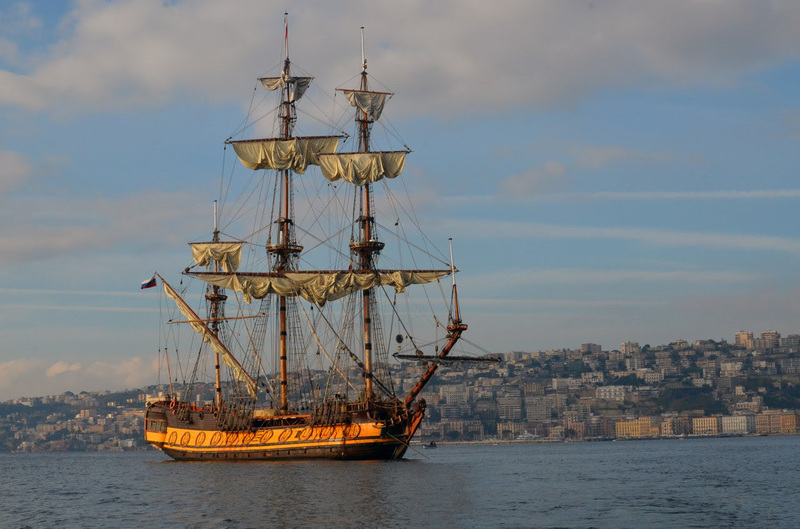 The Strait of Bonifacio, the island of Elba, Livorno, Genoa, Nice: embrace Italian traditions and classics. Everything here is full of history, the streets are fascinating with their mistery. Sounds like an interesting plan, don't you think? We have been providing sailing training for 15 years. The frigate is a place where numerous professional crews have been trained. The rules related to navigation, IRPCS and radio communication are the same for all boats, regardless of the size and type of the vessel. 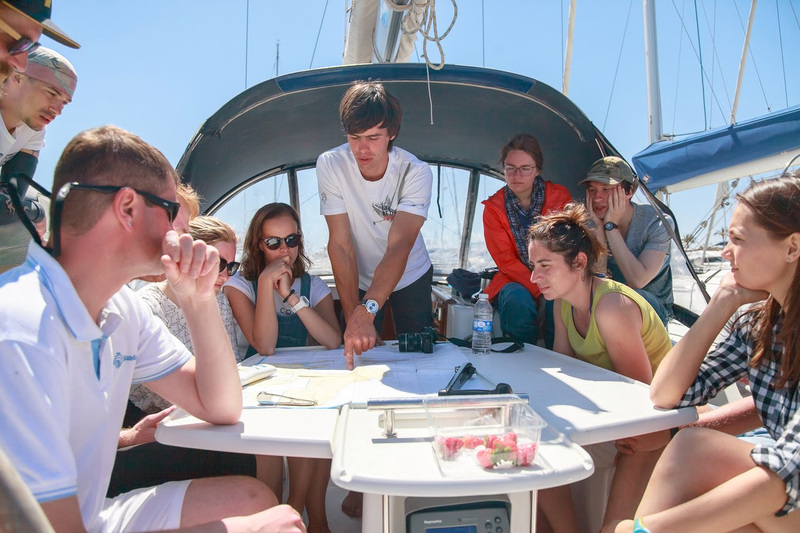 From this year on, we also train future captains of modern yachts and issue IYT licenses. "Yacht Sailor" and "VHF Radio Operator" training courses are available at any of the winter legs, and we will soon announce our on-shore theoretical courses and practical courses on board of modern yachts. Follow the news! 5| The results of the season: Some facts and figures we would like to share. 10,500 nautical miles behind the stern. This is the route covered by Shtandart in 6 months of this year. It's almost half the circumnavigations around the equator. 50 ports were visited by our frigate from April to November, 2017. Shtandart had the 4th place in the International regatta of Big Sailboats. Thank you, friends! 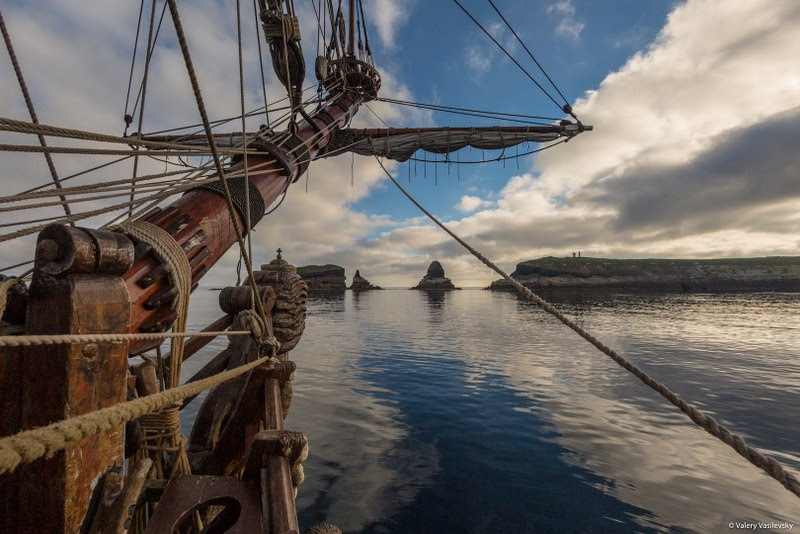 All this became possible due to your participation in project Shtandart, in the repairs of the ship and in its voyages. The history of the frigate is our common history. We wish you favourable winds and adventures!